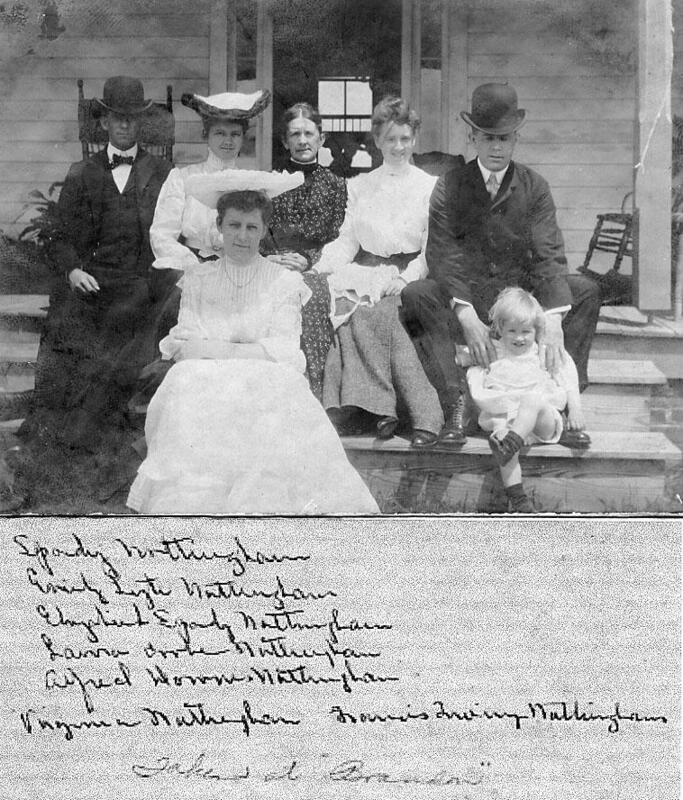 Thomas Spady Nottingham (see #52); Emily Moore LYTE Nottingham (wife of Thomas Spady Nottingham); Virginia Spady Nottingham (see #55); Elizabeth Jarvis SPADY Nottingham (see #22); Laura Cooke Nottingham (see #54); Alfred Downes Nottingham (see #53); and Francis Irving Nottingham (son of Thomas Spady Nottingham and Emily Moore Lyte). Photo taken at "Brandon." Click here for photo of "Brandon." The numbers refer to individuals included in the Willliam Jarvis descendants page. If you have historical documents that you can scan, and you would like to submit them to the GHOTES Web site, please contact Barbara Cox at ghotes@ix.netcom.com. Thanks!